Prey: Mooncrash released last month, adding a rogue-like twist to the 2017 game’s mix of action and exploration. The DLC arrived during E3 and was easy to sleep on—I ignored it in favor of big releases like Octopath Traveler. That was a mistake. Mooncrash might be even better than the main game. In Mooncrash, you play as a hacker trying to piece together what happened at a destroyed TransStar corporation moon base. To do this, you leap into a simulated version of the base’s final hours and take control of a handful of characters in an attempt to guide them to safety. What you do as one character affects others—pick up a useful item, for instance, and it won’t be there for the next character. If you fail, you simply run the simulation again. Each playthrough shuffles the enemy placement, available items, and environmental hazards. The map layouts remain the same, but each run feels different. The focus on gameplay challenges brings out the best in Prey. Prey’s story campaign was full of interesting ideas but mismanaged execution. You played as Morgan Yu, who wakes up to find their daily life is an elaborate test simulation. The game wanted to talk about ideas like the nature of memory and what happens when the lines between reality and digital spaces is thin. It followed in the vein of immersive sims like Deus Ex, but the decision to place crucial plot information after the credits shattered pacing. Prey succeeded in spite of this thanks to intricate level design that encouraged creative problem solving. You could use alien abilities to morph into a clipboard and slide under locked doors or use a glue gun to make platforms to climb past hazards. Mooncrash keeps the story light, allowing players to focus on their environments, and is far better off for it. Mooncrash’s structure rewards experimentation. Each character has a different skill set, some focusing on repairs and hacking while others specialize in psychic powers. Players need to familiarize themselves with Prey’s various means of interacting with the world. The engineer Joan Winslow might consider planting turrets on the moon’s surface and firing a nerf gun to wake the Moon Shark under the dirt, letting her robot pals dispose of it and clear the way for the next character. If you’re playing as the test subject Andrius Alekna, it might be best to avoid picking up weapons and using your psychic powers. That way you’ll have more gear in place for the next run. 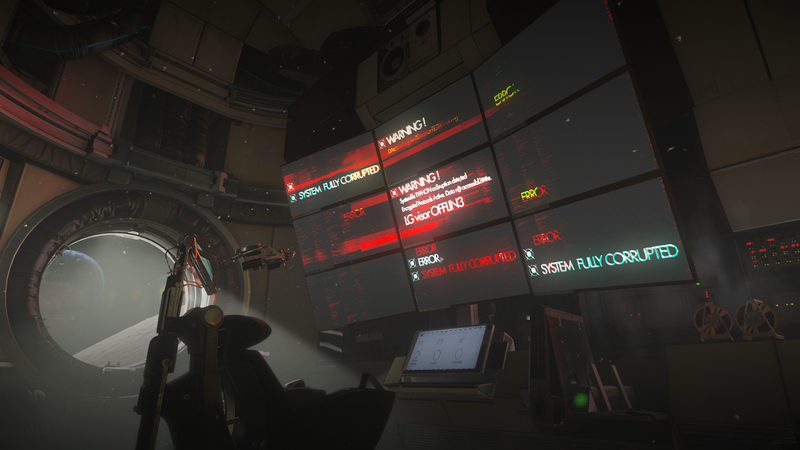 Prey already emphasized moment-to-moment decision making; tossing an additional meta-game on top of that highlights how many interesting choices the game offers. A points system further incentivizes players to go out of their way to defeat monsters and attempt new objectives. There are multiple ways to escape the station and personal tasks for each character to complete, all of which award points. You also gain points for defeating enemies or exploring certain locations fully. These point accumulate and can be spent to add weapons and items to a character’s inventory before their run. Mooncrash encourages exhaustive play, a decision made more interesting by the fact that the longer you play, the more unstable the simulation becomes. Staying in the simulation too long increases the threat level, spawning in buffed enemies and additional hazards. As a result, it’s actually safer to rush even if you can only get points and new characters by completing time-consuming objectives. Balancing the need to complete important objectives while preventing the simulation from corrupting is a difficult but rewarding challenge. Mooncrash succeeds because it forces the player to deeply consider each move they make. Each layer of the puzzle—character selection, item placement, simulation corruption—complements the others to create a highly distilled version of what makes Prey great.